Choosing the right ski goggles depends on the conditions that you expect to encounter high up on the snowy slopes. For many skiers, the quality and brand of goggles are overlooked yet this can be of great importance. The misconception doing the rounds is that all goggles are the same. 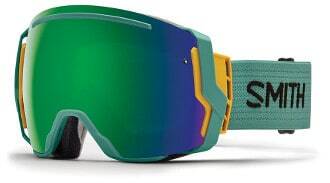 For this very reason, most skiers will buy goggles simply because of color, design and style. This article will provide you with a solid guide for choosing the best ski goggles for 2019, or for a quicker round-up check the comparison table at the bottom (updated 08/01/2019). Best for: Beginners as well as seasoned skiers. Smith optics has been in the industry for a long time, and the quality of their products is beyond reproach. These goggles offer great quality and can be used by any skier, seasoned or not. These goggles come with an array of great features that include anti-glare lenses as well as anti-fog qualities.The goggles also come with a dual lens design that has a breathable foam liner. The foam liner prevents moisture from building up as a result of proper airflow. The goggles can be easily adjusted and this ensures a firm yet comfortable fit for most skiers. The soft materials used for the inside lining prevent sliding and pinching, further enhancing comfort. The goggles come in a variety of colors and styles, from various shades of blue and red. However, you can also have them in the standard black color as well as clear. These goggles are likely worth checking regardless of your particular preferences and taste. Best for: Skiers who wear prescription glasses. Cons: Generally the design is not as cutting edge as one would expect. Oakley was established in 1975 and has been churning out quality products that are trusted by a wide variety of athletes. The goggles are credited with great visibility, enhancing your ability to see people coming from your sides. This acts as an added safety measure for yourself and other skiers. Generally, the goggles are comfortable due to a layer of foam. This ensures guaranteed comfort even when worn for long periods of time. The goggles have anti-fogging properties that will improve your visibility. This is due to the wicking of the foam material that keeps your face clear of sweat and moisture. These goggles are undoubtedly practical in regard with the various conditions that may be experienced during skiing. Great visibility and comfort will definitely put these goggles on your favorites list. Best for: Varying weather conditions since the lenses can be quick-swapped. Cons: Frameless design may make the lenses susceptible to breaking due to less protection. These goggle are fairly priced and offer great performance. The goggles have detachable lenses that are fixed in position with magnets. This feature ensures that you can change the lenses to match the conditions you are experiencing. Dark lenses can be used in bright sunshine and the lighter lenses can be used in cloudier weather. The headband can also be easily swapped out, making the goggles fit practically any helmet. It should be noted that these goggles are frameless; this allows them to feature a more convex design that provides for great visibility. The clever and innovative ideas behind these goggles make them quite a competitor in this segment. Clear visibility coupled with the ability to change lenses, gives you control and confidence while in action. Best for: Night skiing and varying weather conditions. Pros: Detachable lenses that offer various shades. These goggles are classified as high end and compared to the other models, and as such, do cost a little more. Just like the OutdoorMaster goggles, these have detachable lenses. Included are a dark shaded one to be used with bright sun-shine and a light shaded one for night skiing. One unique feature about these goggles is that the lenses are able to correct refracted light. As a result, you should have a crisper vision of your surroundings. This will further translate to guaranteed safety as obstacles can be easily seen and avoided. Additionally, eye fatigue is greatly reduced due to lesser strain. The lenses are scratch resistant thereby offering substantial durability. The goggles are compatible with a wide range of helmets, and therefore they are quite practical. The foam material lining the inside of the goggles offers excellent comfort. Apart from comfort, the foam material allows sweat to pass through hence no fogging. Best for: Partly cloudy conditions. Pros: Cheapest pair on the list. Cons: Lack a dark tint for sunny conditions. The first thing you’ll likely notice about these goggles is that they are pretty damn cheap. However, this should not be mistaken for substandard quality. If you are looking for simple goggles that offer good value for money, then these should be on your list.These goggles lack a dark tint and therefore could be cumbersome in bright sun-shine which could lead to eye fatigue. The goggles offer great clarity as well as venting technology that prevents fogging. The venting technology renders the goggles moisture free. The technology further prevents the clogging of snow and ice.The lenses are scratch resistant hence durability is guaranteed. These goggles offer great comfort, however, they best fit mid sized faces.Generally, these are simple but practical goggles that will get the job done without digging too much into your pocket. Good clarity, scratch resistant lenses and favorable pricing will definitely make these goggles worth a try. In conclusion, when considering to purchase skiing goggles, the goggles mentioned above qualify as some of the best ski goggles for 2019. The ball is in your court to make the most favorable choice that genuinely fits your preference and taste. 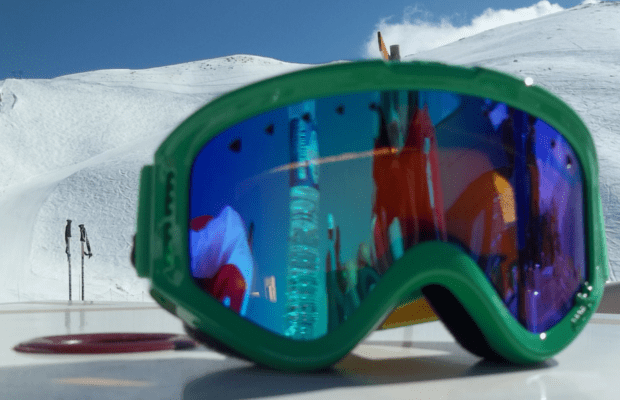 At the end of the day what really matters is that memorable skiing experience, and picking the right pair of goggles will help with this a lot more than you might realise.